In my previous research for nasturtium recipes I also discovered that Kale Chips are allegedly addictive. 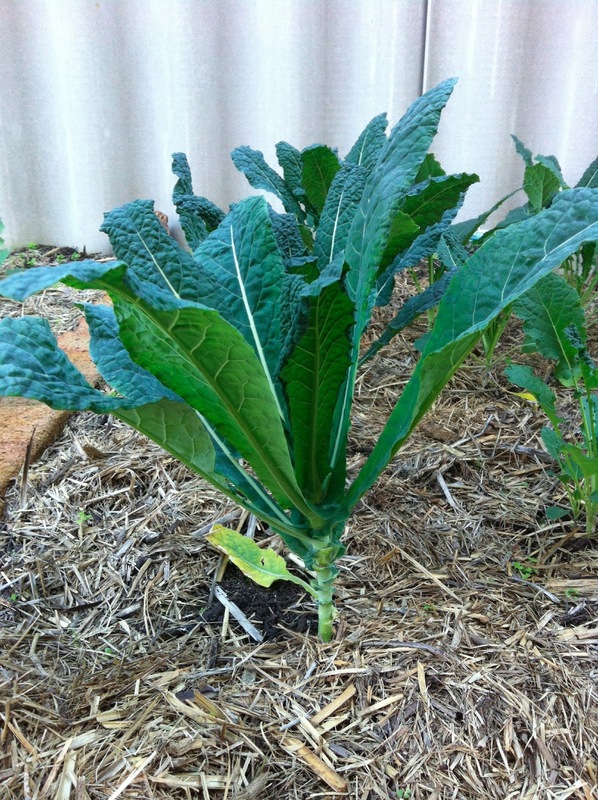 I have some Tuscan Kale (Cavolo Nero) coming up in the back yard, so I thought I'd give it a go out of curiosity. So, as per the recipe, I chopped out the stems, then mixed up the leaves in a freezer bag with olive oil, balsamic vinegar and ground sea salt. Then I popped then into the oven on 200 degrees, admittedly a few minutes too long out of absent-mindedness. 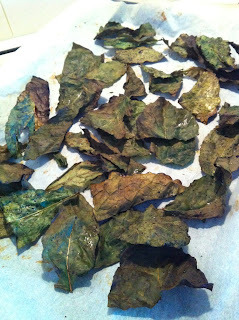 I'd aim for ten - fifteen minutes but they were in for about 20 by accident, and turned out a touch too browned/black. They came out crunchy, salty and delicious, but the bitterness of the Tuscan cabbage and the "furry tongue" spinach after taste were a bit too much for me, I only ate about a third of the batch before feeling overwhelmed. Fortunately they keep perfectly fresh and crispy in a zip lock bag. That was Friday, today is Monday/Tuesday (night) and they are still there as a handy zing of texture and flavour to have when I get home from late shift. 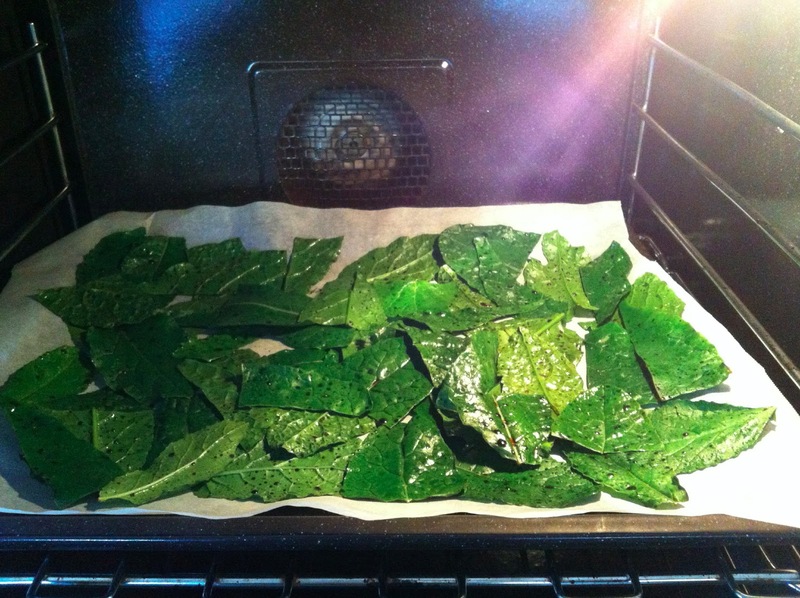 If you love bitter greens and that spinach-y/dark-greeny flavour, I can see how they'd be morish, but unfortunately it is just too much for me. 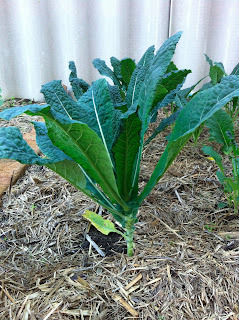 I have a feeling the curly kale used in the recipe will be a more mellow bite, and I've seen bunches of curly kale in the local grocer's so I've got that as another option to try, I'll let you know!